Caution! 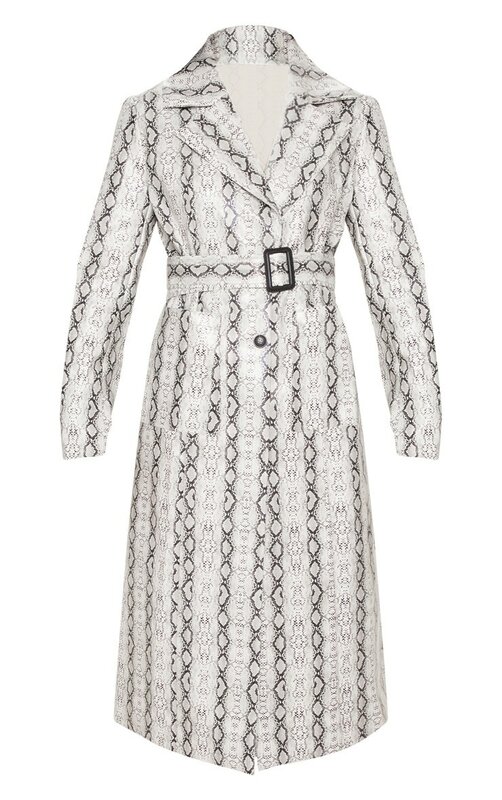 We're totally lovin' this show-stopping trench coat. Featuring snake print on PU fabric, team this with matching trousers to look glam AF in the upcoming colder months.